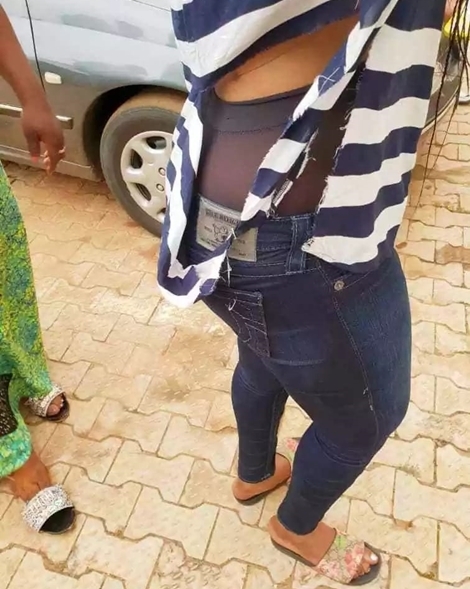 An young aspirant of the PDP in Benue state, has alleged that her opponent in the concluded primaries sent some thugs to attack her as she shares photos to back her claim. A female politician identified as Barr. Aida-Nath Ogwuche, who is an aspirant of the Peoples Democratic Party (PDP) at the just concluded primaries, has narrated her ordeal in the hands of some hoodlums, suspected to be working for her opponent. Speaking while addressing journalists at the PDP national headquarters in Abuja on Friday, October 12, the young UK trained lawyer expressed disappointment with the entire electioneering process, most especially, the conduct of the primaries, which she alleged was marred with irregularities. She said that the build-up to the primaries witnessed a lot of intimidation and harassment of supporters and delegates that should have voted for her, after attempts to force her to step down for her opponent failed, adding that some of her supporters could not find their names on the delegate list. Ogwuche said: "Before we went into the stadium, my agent, my Coordinators and some key persons in my campaign had been threatened." "Some thugs were looking for my agent (Adolowu Lawani) and some other boys walked straight to the vice chairman of my ward and the women leader and told them that they would chop off their fingers if they voted for me. They were threatened right there outside the stadium when they were o n queue. One of the boys came to someone I was standing by and didn't know I was the aspirant, and mentioned a name (which I will withhold for now) as the leader of their group, and said that, he sent him to give a resounding warning to my Coordinator, and I began to fear for my life and everything. When we went inside, we discovered that the delegate list has been changed. The list that was used was not the original list sent from Abuja which they used for the governorship. "Also when it was going to be the turn of Ogbadibo to vote, I heard the leader of the party in the local government, Chris Adabba Abba, saying he was going to stand as the agent of my opponent and that everyone should not vote by themselves but hand the ballot for him to write on behalf of all. I sensed the process had been hijacked, because, as our leader, he has undue influence on the delegates. "To make good his plans, he (Abba) stood as agent of his cousin and was snatching ballot papers from delegates to write the name of his cousin who was my opponent. And when my agent raised observation and confronted him, he threatened to slap my agent and it turned to chaos and the electoral officers threatened to suspend the process." 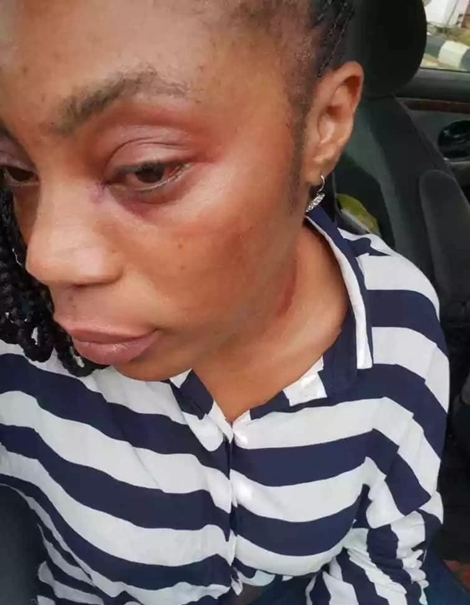 She decried the inhumane nature she was handled by the thugs whom she alleged were working for her opponent and the leader of the party (Abba), stressing that, such treatment was an affront on the sensitivity of the female folk. "I saw multitudes gathered on my agent and I was trying to get closer to see what was happening, them I saw the boys hitting my agent, before I knew it, they pounced on me, beat me up mercilessly, tore all my clothe and stripped me naked in the public right there in the stadium. They punched my eyes and pulled my hair. "This was what I faced. All these bullying, harassment and intimidation, just because some people feel more entitled to hold this position than myself. This is unacceptable. I'm calling on all authorities out there and good Nigerians to look into this situation. This cannot continue to go on, the ill treatments against female folk must stop and this is where it stops," she added with tears. Though Ogwuche said she had reported the matter to the security agencies and had filed an appeal at the PDP panel, she reiterated calls to the Nigerian security and the government to come to her aide, saying her life had remain under threat since she left t he hospital.